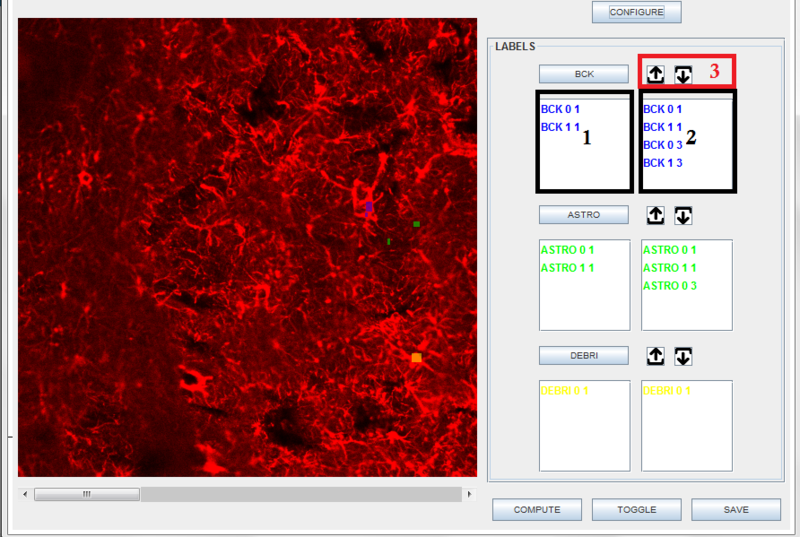 ImageJ is a public domain Java image processing program extensively used in life sciences. The program was designed with an open architecture that provides extensibility via Java plugins. User-written plugins make it possible to solve almost any image processing or analysis problem or integrate the program with 3rd party software. The program was designed with an open architecture that provides extensibility via Java plugins. User-written plugins make it possible to solve almost any image processing or analysis problem or integrate the program with 3rd party software. The Active Segmentation plugin is a complete redesign of Trainable Weka Segmentation (TWS) for ImageJ. The platform was developed in the context of GSOC 2016 by Sumit Vohra. The Active Segmentation was developed with the main goal of providing a general purpose environment that allows biologists and other domain experts to use transparently state-of-the-art techniques in machine learning to improve their image segmentation results. multi-instance learning designed by third party in a robust manner. The platform is still under development, although the main functionality has been completed in the context of GSOC 2016. In last Google summer of code, the major focus was on integrating generic filter families and specifically on one family of filters i.e. Gaussian Scale Space. We would like to expand the existing functionality of the Active Segmentation plugin to incorporate learning from entire images presented as instances. In this way image classification functionality can be achieved. The project will start by examining the existing Active Segmentation plugin with the purpose to add extra functionality of incorporating statistical features (in addition to the filters already present) as an extra module. Develop a proof of concept module, which computes Zernike image moments based on a Region of Interest. Propose the necessary design changes in Active Segmentation to incorporate entire image features. Update the existing Graphical user Interface to handle both filters and statistical features. Update the meta-data export functionality to handle the new set of features. Application follows the rules of GSOC 2017. Candidates must include a CV, completed proposal and assignment in their application. Google summer of code page can be consulted here .